Brand: Norpro N-3087 Units: 1 Dimensions: Barrel length: 10"
Diameter: 2⅜" Heavy marble rolling pin with wooden handles. Nylon ball bearings makes rolling out dough easy. Includes wooden stand to store pin on. 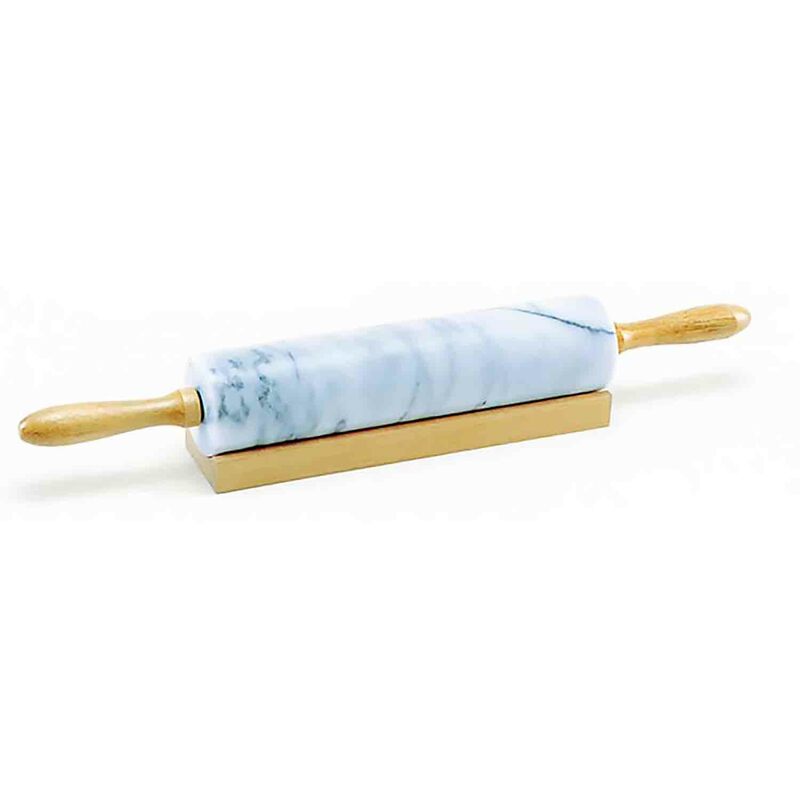 Heavy marble rolling pin with wooden handles. Nylon ball bearings makes rolling out dough easy. Includes wooden stand to store pin on.